"What the hell are you? What are you doing here?" you ask, on the verge of shouting. 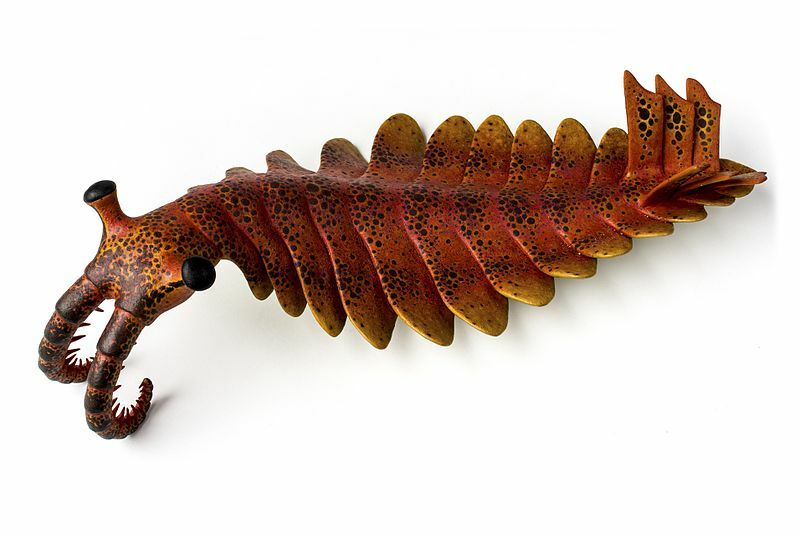 "I'm an anomalocaris, duh. I'm here for a routine checkup to make sure there's no trilobites around here!" You heave yourself out of the room's corner and take a close look at the creature. Its head is all gun barrels, largely metal with only one barrel being organic. No mouth, no eyes, nothing. The only other metal on its body is the plating built into several fins and the main body. "And why would you need to do that?" It shifts over to a debris pile, prodding it with the end of a rocket propelled grenade protruding from a barrel, and abruptly swings to face you. Having the barrels pointed directly at your head is nerve wracking. "Don't you know how evil trilobites are?" it asks. "They've destroyed towns! Cities! Worlds! No wait that world thing may be wrong, umm, but they would destroy a world if they could! And their bodies are so tiny the evil in them is at peak density!" The barrels are growing, accumulating additional metal from an unknown source to form missile launchers and a bundle of grenades. "Is there any reason why they are that way?" "No! Trilobastards exist to hate! That's all they're for!" One of the missile's engines ignites. Its voice suddenly becomes monotone. "Their First Lord was a hole and from that hole they—"
The missile launches at you. It curves inches from your body and speeds back to the chamber entrance, blowing the hole open wider. Bits of your shirt are singed from the engine and you spend a few seconds blowing the embers away. "Oh sorry about that! Are you okay?" Its voice is back to normal. You realize it'd be a really good time to change subject now.